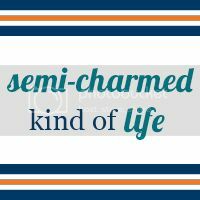 Semi-Charmed Kind of Life: Teasers are just spoilers in disguise. Note: I wrote this post way back in June but just hadn't gotten around to publishing it yet. In honor of the release of Les Miserables next month, I figured now was the perfect time to hit publish! And by teasers, I mean book jackets and movie trailers. Hear me out: I love previews. 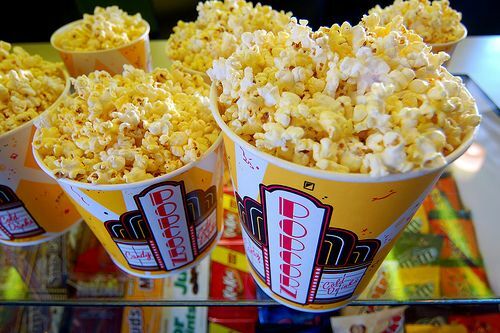 I'm one of those people who is actually upset when I miss the previews in a movie theater, and not just because I don't like looking for seats in the dark. I really like trailers, and I used to think it would be amazing to be a trailer producer (a la Cameron Diaz in The Holiday). However, if I know I want to see a movie and already know the storyline, I don't want to see a trailer because I don't want any part of the movie to be ruined for me. For example, I don't think I have ever watched a Harry Potter preview. It's hard to know for sure with the earliest films, but I honestly can't remember ever watching one. I do remember closing my eyes, covering my ears with my hands and humming to myself when a preview came on in the theater to keep myself from seeing or hearing any snippets. This same rule applies to the Les Miserables film coming out in December. My Twitter feed blew up with links the day the official trailer was released, but I don't want to see it! I will read articles about the making of the movie, and I definitely imagine Hugh Jackman's voice every time I listen to my Les Mis album, but I just don't want to see the trailer. 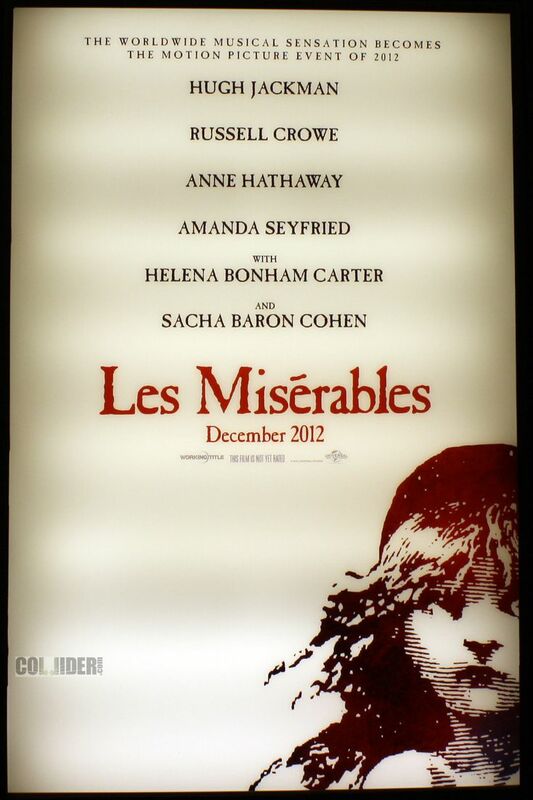 One gripe here: Why isn't Samantha Barks on the poster?! Plus, some trailers these days show everything. Don't you feel like most comedy movies put every single funny part in the preview? And then there's nothing left to shock me during the movie. Also, I specifically remember a Disney Channel original movie preview that showed the main character holding a trophy. So, obviously he wins the race the entire movie is centered around. Why would anyone do that? In addition to movie trailers, I also mentioned book jackets at the beginning of this post. If there is a book I've heard good things about and know I want to read, I don't want to read any reviews or summaries. For example, although Catcher in the Rye and The Kite Runner are both fairly well-known books, I barely knew anything about them when I finally read them this year. And I like it that way! I like entering a story I know nothing or next to nothing about and having a completely unfamiliar experience. 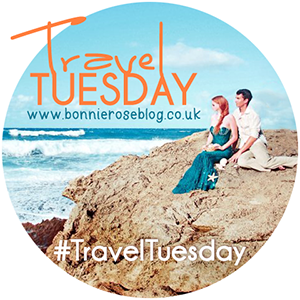 What do you think about movie trailers and/or book jackets? P.S. — What I learned from Les Mis. I completely agree with you. I really really dislike knowing anything about a book/movie if I'm already planning on reading/seeing it at some point. Great points! I have watched the Les Mis trailers obsessively. The first one that came out with Anne Hathaway was so phenomenal that I thought it could be its own little movie (am I killng you? lol) I LOVE previews too. If I'm bored I'll get on IMDB and just watch previews for like an hour straight knowing I will probably never see the movies. But I did not want to see the THG preview for some reason. So I totally understand where you're coming from. So take it from me...according to the previews Les Mis looks amazing! The comedy ones are the WORST, they use all the funny parts and movie is a disappointment. I never thought about previews like this before, but you definitely have a good point! I do like to read book jackets before reading the book to get the context of the story in my head. This was a great idea for a post Megan!